Elation Professional announced at LDI 2014 trade show in Las Vegas a distribution agreement with High End Systems that allows the company to distribute the HES HedgeHog 4 in North and South America, India and Southeast Asia. Developed by High End Systems, the HedgeHog 4 is the newest member of the Hog family of consoles, which has long set the standard for lighting control products. 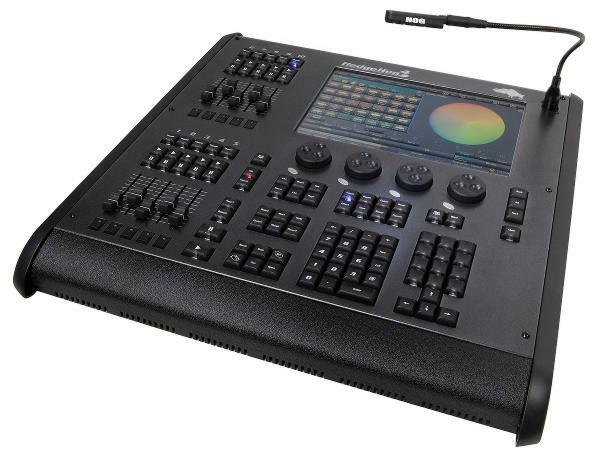 Featuring the familiar programming and command line interface and user-friendly ergonomic control surface that have made the Hog series widely accepted by lighting professionals throughout the world, the HedgeHog 4 is a powerful, self-contained lighting controller with a built-in computer running Hog 4 OS software, the same software as all the other Hogs, and even comes with ArtNet and CITP capabilities. Features of the HedgeHog 4 include unlimited number of simultaneous crossfades, one internal 12-inch wide touch screen, four encoders for an expanded wheelset, twelve user keys, ten playback faders, two fixed universes of DMX 512 and up to 4 universes of DMX 512 over ArtNet or sACN, fixture-Net Ethernet connector, internal Solid State hard disk drive, two USB ports for Wholehog wings and other accessories, desklight, and auto-ranging mains input (100-240VAC).